What is it about being a CEO of a psychiatric hospital in Ontario that warrants much greater compensation than executives of similar-sized general hospitals? Last month we took a look at who was making more than double the Premier’s salary. While not uniform, most CEOs in that compensation range worked for very large hospitals, such as Bob Bell, who earned $753,992 in compensation for helming the University Health Network, which has an operating budget of about $1.8 billion, or Jack Kitts who earned $630,485 on a budget of $866 million as CEO of The Ottawa Hospital. What was more surprising was that two of four major stand-alone psychiatric hospitals placed leaders on this list. Of the four CEOs, only one lists a clinical background in her on-line curriculum vitae. Dr. Catherine Zahn, President and CEO of Centre for Addiction and Mental Health (CAMH), is a practising neurologist. Glenna Raymond (Ontario Shores), Carol Lambie (Waypoint) and George Weber (Royal Ottawa Group) are career administrators. Weber has an MBA with extensive advanced management training. Raymond states she is a certified health executive. Lambie is a certified general accountant, although her contract calls on her to finish her MBA by the end of 2011. These qualifications are not unusual among Ontario hospital CEOs, yet two of four appear to be collecting compensation that is far beyond those at comparable sized facilities. CAMH has annual expenditures of about $325 million, yet Zahn earns $674,999 — more than $200,000 in excess of compensation paid to Lakeridge Health CEO Kevin Empey, who toiled away for $458,920 in 2011. Lakeridge has about $420 million in annual expenditures. Empey might think himself grossly underpaid compared to Ontario Shores’ Raymond. Raymond’s psychiatric hospital spends about $117 million per year, yet Raymond is listed on the sunshine list has having earned $456,241. Carol Lambie, the President and CEO of Waypoint Centre for Mental Health Sciences, might also see herself as underpaid at $289,213 in 2011 compared to Raymond. Lambie’s hospital spent about $103 million last year — close in scope and size to Ontario Shores. Raymond’s compensation may be particularly hard to explain when George Weber, CEO of the much larger Royal Ottawa Group, is compensated nearly $100,000 less at $360,938. The Royal Ottawa has a budget to spend about $162 million annually and manages facilities in both Ottawa and Brockville. At a $365,000 base salary, Raymond took home a whopping bonus of more than $91,000 – the 25 per cent maximum allowable under her contract. For that you’d expect Ontario Shores to be posting some impressive numbers – bonus compensation is supposed to be connected to performance, right? As we have pointed out repeatedly, Ontario Shores does a dismal job around staff safety. In a comparison chart with the four mental health and addictions hospitals, Ontario Shores has dramatically higher levels of lost time injury in 2010-11 than either the Royal Ottawa or CAMH. The absenteeism rate is presently highest among the four hospitals. Prevalence of physical restraints based on resident assessment is about four times as high as CAMH and higher than the Royal Ottawa. Use of pharmaceutical restraints was the second highest for 2010-11. Ontario Shores had the highest readmission rates among the four hospitals. If you look at the hospital’s own scorecard for 2010-11 (likely the basis for deciding 2011 bonus compensation reflected in the sunshine list), there is plenty of red to indicate that targets are not being met on staff training, outpatient wait times, hand hygiene compliance, critical injuries, alternate level of care and more. Lambie’s contract is older than Raymond’s, and likely she received at least one cost of living increase before the legislative freeze. Only 3 per cent of her contract is subject to bonus, and it appears she also received it despite also posting some terrible numbers. Only Waypoint beats Ontario Shores’ on lost time injuries in 2010-11, although the first three quarters of 2011-12 (the latest for which numbers are posted) do show improvement. Lambie’s hospital has the worst record for physical restraints and second highest for staff absenteeism. Todd Stepanuik, former CEO of the Perth and Smith’s Falls District Hospital earned $193,542 taking care of a $50 million a year budget. Noel Pierre, CEO of the Pembroke Regional Hospital, has a budget of $82 million and was compensated $293,575 in 2011. Ken Tremblay, CEO of Peterborough Regional Health Centre, earned $380,000 on a hospital budget of $233 million. Rik Ganderton, CEO of Rouge Valley Health System earned $453,162 taking care of two hospitals in Scarborough and Pickering. Annual expenditures are about $317 million. It’s true that CAMH has a reputation well beyond its financial size and scope. Most people we have spoken with don’t have a clue where to find Ontario Shores. It’s in Whitby. Clearly there should be some questions asked when a CEO stands out in this crowd. This entry was posted in Mental Health and tagged CAMH, Carol Lambie, Catherine Zahn, Centre for Addiction and Mental Health, George Weber, Glenna Raymond, Kevin Empey, Ontario Shores, Royal Ottawa Group, University Health Network, Waypoint Centre for Mental Health Sciences. Bookmark the permalink. This is an outrage that these people get this kind of TAX PAYER money for a PUBLIC HOSPITAL. How on earth can this be justified? It cannot. This information needs to hit the nightly news so there is an uprising! These people need to be paid a decent wage for a decent job–nothing more. 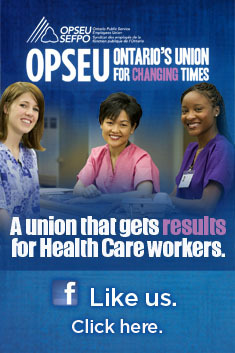 Before the hospitals were privatized, they ran much smoother and were significantly CHEAPER for the ontario taxpayer! CTV ran a story tonight about Bell Canada making a donation to Ontario Shores to fight mental health stigma. Shame on both Bell Canada and CTV for not doing their homework and being a party to promoting such corporate cash guzzlers. Beggars and muggers… the whole lot of them. Stigma associated with mental health victims is tragic and and certainly needs to be eradicated. However, the bigger picture in this story is far more revealing and disturbing. Least of which is the question of why these CEO’s command such outrageous compensation for a job so poorly performed? I’m all for supporting mental health victims and battling mental health stigma. I fear the public at large has missed the greater injustice of these high paid “Fat Cats” and aren’t recognizing the real stigma overshadowing that place. Even if they do a great job, they don’t deserve that kind of tax payer cash. That’s ridiculous. I can tell you from experience that Ms. Raymond certainly could not have “earned” her bonus for upholding the facilitiy’s committment to openess and trust……or could she?? Let’s not forget the Board who approved her salary and bonus. It breaks my heart to see what has become of the Whitby Mental Health Centre. This was once an honest and trusted establishment run by very caring and competent individuals. Both patients and staff members were proud to be associated with this community icon. Previous Administrator worked for a fraction of what Ms. Raymond is scandulously being paid and yet had time to know his staff and patients by name and was visible to all on a daily basis. I cannot believe that someone is not intervening before the organization is ruined beyond redemption. Nursing staff seem to be belittled, harrassed and bullied for defending pt. rights to adequate supplies, staff, recreation, edable food, etc. My former facility had no one on the “sunshine” list prior to divestment, now it has about 20 or 25, fewer pts and staff, amasing !!!!!!!!!! I see you included Ken Tremblay CEO of Peterborough Regional Health Centre in Peterborough as an example of a moderate salary. If you can call $380,000 moderate I guess. Unless one has a doctorate that is still an inappropriate salary. If one argues experience then there are PRHC employees with 30 years’ experience making one 7th that salary. But then Tremblay’s salary will not be challenged by the Board as he has them wrapped around his little finger with his dog and pony show featuring the latest buzz words (lean management) in healthcare. As far as lean management goes he is actually a little late to the party behind several institutions and if he hadn’t instituted it then it would constitute incompetence on his part. He has lowered the deficit but at what cost? Well staff morale for one has got to be the most abysmal in the institution’s long history. Not just morale but some employees are terrified of being terminated for just doing their jobs as has happened this spring all because the administration failed to adequately train them on privacy issues. I guess it will be interesting to see when the class action proceeds and administration’s emails and memos shed light on the incompetence of management and all Tremblay’s cost cutting is erased in legal fees and damage awards. If the residents of Peterborough are lucky this will coincide with Tremblay’s contract running out and we can kick him to the curb like they did in Cambridge. this is public money, these exec’s are living on! dont we have a say? Kenny G., the experiences of the divested Provincial Psychiatric Hospitals are each so similar that it makes one wonder if this is some “master plan” to completely destroy health care for the mentally ill in our province while lining the pockets of “certain” privileged opportunists with gold on the path to destruction of mental health care. How else can anyone explain the unrestrained budgets for all things unrelated to patients or caregivers? Why is it necessary for OS CEO to travel by limo (like some pompous dignitary) while OS patient care units are chronically short staffed, programs for patients dwindling, patient food portions so small that bread is given freely at meal times to supplement? Yet, there always seems to be a congregation of some sort (comprised of the privileged) being sent on global trips for conferences, etc. Many out of country, not a simple jaunt into the nearby city. Cronyism rampant, as is nepotism. Ornge scandal pales by comparison. But, who seems to care? Mental Health patients by nature of their illnesses often lack the resources necessary to fight back and raise issue. And Peter from PRHC, you raise critical issue of morale and staff victimization and intimidation. This too is uncontrolled in the industry and allowed to continue. And you are right. Morale is non-existent. Nurses are leaving the profession in droves. Disillusioned, battered, and many broken and bloodied. Kenny’s experience and assertion of nurses retiring and refusing to return PT or Casual or even renewing their licences is the same phenomenon everywhere. Why? Would like to suggest that real nurses are broken by the dictatorial, judgemental and unrealistic demands placed on them by a system that elevates incompetent individuals into positions of power who would not know what a patient is if they happened to trip over one. And what is this growing movement to hire Social Workers (a very respected profession in itself) into positions over-seeing Nursing/ patient care units? What on earth does a Social Worker know about Nursing or patient care? I fear Kenny is right. They will kill it dead if not done so already. Sad thing for Peterborough Regional is that even if Tremblay is sent packing there is always another fool with his hand in the cookie jar to replace him. God help us all… The Minister of Health sure doesn’t seem to give a damn.